A Yurt is a nomadic tent. My Yurt came from Mongolia. It is hand crafted from natural materials and painted with traditional Mongolian designs. It is a lovely, peaceful, organic environment in which to practice Pilates and yoga. 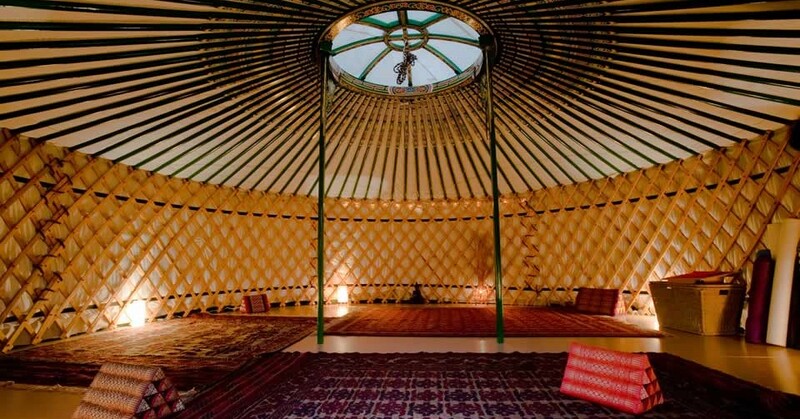 I am now teaching private lessons and small groups of up to 5 people in my Yurt. If you would like to arrange a private lesson or a small group class please contact me.